« A hiccup or a rebound? What are a few things to watch in the South Florida condo market? Inventory, transaction volume and sale prices will tell you everything you need to know. 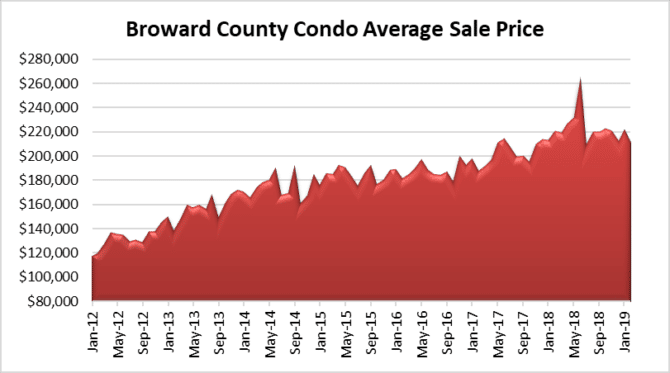 Today we will take a look at the Broward County / Greater Fort Lauderdale market with some charts. The number of condos on the market in the Greater Fort Lauderdale area climbed to 9,019 units last month. This represents a 17% increase in available inventory since the peak in June 2018. Keep in mind that this number doesn’t include all of the new construction condo projects. With developers only listing a small fraction of their project in the MLS (if any units), the actual condo inventory could be much higher. This chart speaks volumes. You will see why we firmly believe that was the peak month for this cycle. It’s basically all down hill from there. The average sale price of a condo reached $264,975 in June. Since that peak it has declined 20% and was at $210,668 in February. 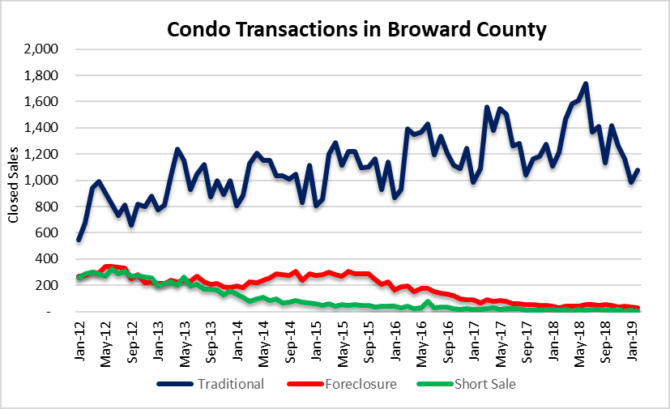 If inventory continues to climb and transaction volume remains low, prices will remain under pressure as we move through 2019. 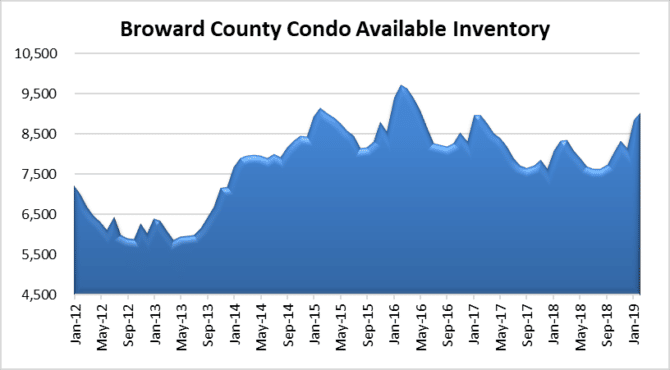 This entry was posted in Condo market, Fort Lauderdale real estate, Market Insight and tagged Fort Lauderdale condo market, Fort Lauderdale real estate. Bookmark the permalink. Both comments and trackbacks are currently closed.